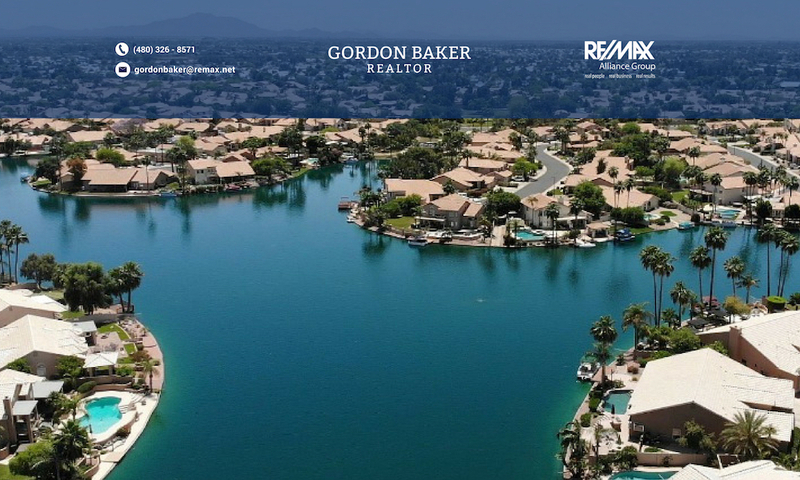 Now that we’ve finished up with the 1st quarter of 2009, it is a good opportunity to review what transpired during the first 90 days of 2009 for waterfront homes for the southeast valley, including Chandler, Gilbert, Tempe, Sun Lakes, and the Ahwatukee Foothills. The data is from the Arizona Regional MLS for waterfront property. I used waterfront information for the 1st quater 2008 , 4th quarter 2008, and 1st quarter 2009. I only used sales of single family homes. For a more thorough analysis, I thought it would more helpful to analyze the data in two groups; waterfront homes with a sales price up to $350K, and those above $350K. I thought this would be a good dividing line because the FHA loan limits have recently adjusted, although it was later in the quarter and will have more of an impact during the 2nd quarter going forward. Separating the sales by price sold; up to and above $350K reveals two markets with different trends. The number sales of waterfront homes above$350K declined when comparing the first quarter of 2009 vs. 2008, while those under $350K have increased in the first quarter of 2009 vs. 2008. The sales price/square foot in the under $350k shows a smaller decline and leveling off compared to the higher priced waterfront homes. It wil be interesting to see if the 2nd quarter 2009 results for the under $350K group confirms this leveling off. Looking at the total sales by loan type for both groups combined revealed that the majority were conventional loans at almost 60%. 30% were cash transactions, and 10% FHA. Of the cash transactions, 70% of them were homes under $350K. I was expecting to see more FHA loans being used in the under $350K price range but the real impact of the revised loan limits will show up in the 2nd quarter of 2009. The above table confirms what many are seeing in the market. Buyers are concerned about affordability and 70% (excluding the 30% cash buyers) are constained by loan availability. As prices drop, investors and cash buyers gain interest, and the new FHA loan limits allow buyers to extend into the high $350K range all of which contribute to establishing a bottom for the up-to-$350K waterfront properties group. Understandably, higher priced homes are at higher risk for further decline. Jumbo loans, over $417K are more difficult to secure. For further information regarding waterfront property in the Phoenix area, please call or e-mail me for assistance. Or if you’d like, sign up to receive Phoenix waterfront homes by e-mail.